NORWALK, Conn. – Norwalk Police Lt. James Walsh was selected Friday to be deputy chief of the city’s Police Department. 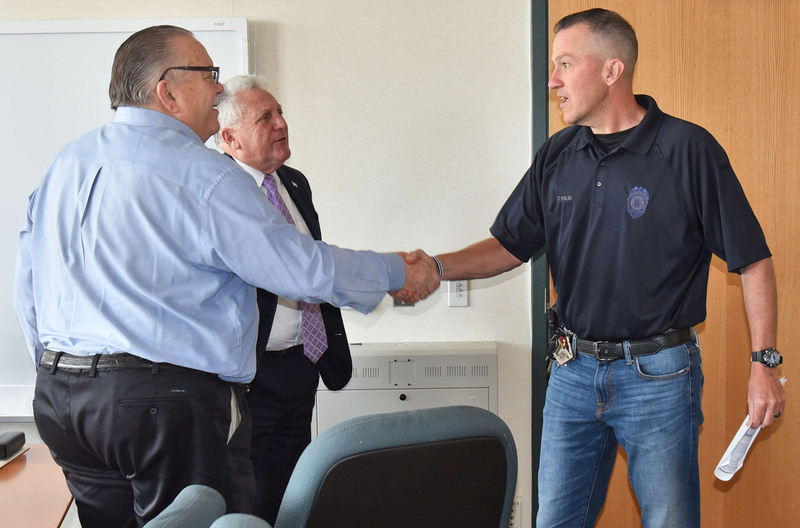 After a brief meeting in executive session at police headquarters, the city’s three Police Commissioners voted unanimously to appoint Walsh to the position. Walsh, 50, replaces Deputy Chief Ashley Gonzalez, who recently became chief of a department in Texas. Susan Zecca remains Norwalk’s other deputy police chief. Walsh joined the department in July 1988 and currently is commander of the Special Services Division. After receiving congratulations from the commissioners, Walsh declined to comment, saying he wanted to wait until his appointment ceremony next Thursday. The other persons who applied for the position were Lt. Thomas Mattera, commander of the Detective Bureau; Lt. Thomas Roncinske, commander of the Special Victims Unit; Lt. Terrence Blake, who is a Public Information Officer; and Lt. Praveen John, who runs the department’s Combined Dispatch Center. Rilling said that to reach their decision, he and Commissioners Fran Collier-Clemmons and Charles L. Yost reviewed the candidates’ history with the department, looked at their resumes, and had discussions with Chief Thomas Kulhawik. “I think we’ve made an excellent choice,” Rilling said. Collier-Clemmons, who was in Georgia and participated in the meeting by phone, concurred with Rilling, saying she thought Walsh would be an excellent deputy chief. Just another rubber stamp by the Riling puppets on the useless police commission. Congratulations Deputy Chief Walsh, I hope the city gives extra consideration to applicants that reside in the city over those who do not. I strongly feel the executive staff for all city departments should have to live in the city that pays their high salaries. If you live in the city you police, teach etc, you will do a better job since you have a vested interest. Congratulations To Deputy Chief Walsh ! You have always been very dedicated, congratulations to you. Great choice , now someone needs to remind Rilling the officer they lost was worth a half dozen men. He also spoke the Language of the city. You would think with a press release they would announce hiring the additional 15 officers needed for the new mall and all the high rises that will be finished soon. Other cities and towns don’t agree 100,000 dollar officers saves money from hiring additional manpower. Why would one assume other departments take advantage of matching grants and hire a dozen officers to increase coverage to save money? The Police Commission should wake up and ensure all officers have what they need ,equipment , Language skills and more female officers with the mall coming. This was nothing more of buying time and hurting the city with no expansion. Picture tells it all old guard shakes hands with new. Thank you Rick and Al, you are so right, is it worth it in 1 body, when you could accomplish with more?